Emmy-award winning broadcast journalist and leading Alzheimer's advocate Meryl Comer's Slow Dancing With a Stranger is a profoundly personal, unflinching account of her husband's battle with Alzheimer's disease that serves as a much-needed wake-up call to better understand and address a progressive and deadly affliction. When Meryl Comer's husband Harvey Gralnick was diagnosed with early onset Alzheimer's disease in 1996, she watched as the man who headed hematology and oncology research at the National Institutes of Health started to misplace important documents and forget clinical details that had once been cataloged encyclopedically in his mind. With harrowing honesty, she brings readers face to face with this devastating condition and its effects on its victims and those who care for them. Detailing the daily realities and overwhelming responsibilities of caregiving, Comer sheds intensive light on this national health crisis, using her personal experiences—the mistakes and the breakthroughs—to put a face to a misunderstood disease, while revealing the facts everyone needs to know. Pragmatic and relentless, Meryl has dedicated herself to fighting Alzheimer's and raising public awareness. "Nothing I do is really about me; it's all about making sure no one ends up like me," she writes. 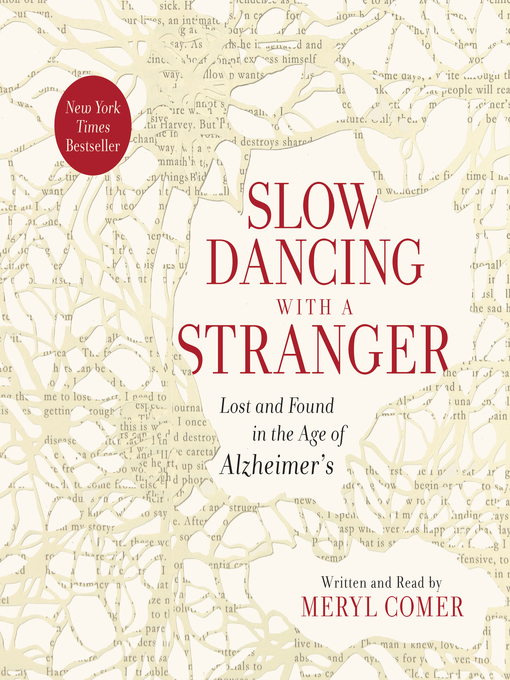 Deeply personal and illuminating, Slow Dancing With a Stranger offers insight and guidance for navigating Alzheimer's challenges. It is also an urgent call to action for intensive research and a warning that we must prepare for the future, instead of being controlled by a disease and a healthcare system unable to fight it.